« BibleNewsProphecy: January-March 2018: Trade Wars! We are seeing sorrows and troubles. 6 “Will not all these take up a proverb against him, And a taunting riddle against him, and say, ‘Woe to him who increases What is not his–how long? And to him who loads himself with many pledges’? 7 Will not your creditors rise up suddenly? Will they not awaken who oppress you? And you will become their booty. The USA is the most indebted nation of all time and keeps increasing its debt (see Official USA debt up nearly $600 billion since Donald Trump’s inauguration and watch Land of ‘Free’ Abortions and Debt). The USA has more than doubled its national debt in the past 9 years–and it stands at over $20 trillion. When interest rates rise up, the USA will eventually face more consequences than most imagine. 37 He shall regard neither the God of his fathers nor the desire of women, nor regard any god; for he shall exalt himself above them all. 38 But in their place he shall honor a god of fortresses; and a god which his fathers did not know he shall honor with gold and silver, with precious stones and pleasant things. 40 “At the time of the end the king of the South shall attack him; and the king of the North shall come against him like a whirlwind, with chariots, horsemen, and with many ships; and he shall enter the countries, overwhelm them, and pass through. 41 He shall also enter the Glorious Land, and many countries shall be overthrown; but these shall escape from his hand: Edom, Moab, and the prominent people of Ammon. 42 He shall stretch out his hand against the countries, and the land of Egypt shall not escape. Germany has been repatriating gold (watch Germany, Gold, and the US Dollar) and others are looking to use gold for trade to bypass the USA dollar (watch US Dollar being challenged by Gold-Petro-Yuan). 2 She weeps bitterly in the night, Her tears are on her cheeks; Among all her lovers She has none to comfort her. All her friends have dealt treacherously with her; They have become her enemies. (Lamentations 1:1-2). The USA and UK have been friends and allies of the Europeans. Between Brexit (watch Brexit and the fate of Northern Ireland, Gibraltar, the UK, and the USA; for 2016 videos watch: Forbes’ Brexit Monster is the Beast of Revelation and/or Post Brexit Prophecy) and the statements and policies of Donald Trump (watch Trump Presidency: Magic 8 Ball or Bible Prophecy?) Europeans are becoming more distant to both of them. The USA has even been labeled as a “rogue nation” (watch The USA Declared a ‘Rogue Nation’!). The Europeans agreed to something called PESCO (see EU Creates New Defense Pact To Reduce Dependence On US: Brexit & Trump predictions are coming to pass and ‘PESCO helps to ensure a more secure Europe for its citizens’) and have taken other steps to get a great army (watch End of the Anglo-American Order and The New World Order Is Leaving the US Behind and Trump Presidency: Magic 8 Ball or Bible Prophecy?). They want a military independent of the USA and NATO–though they will cooperate for a time. The “sea” is the Mediterranean Sea (Daniel 7:2-8; (Numbers 34:6-7; Joshua 1:4; 9:1; 23:4; Ezekiel 47:13-16). This is a European power. The Europeans have continued to develop technologies, including its Galileo system (see Europe’s Galileo system gained four more satellites) and Large Hadron collider, and is moving to be able to fulfill the prophecies about its military progress–which include eliminating the USA (Daniel 11:39; also see European Technology and the Beast of Revelation and watch Military Technology and the Beast of Revelation and Could the Large Hadron Collider lead to destruction?). 5 And on her forehead a name was written: MYSTERY, BABYLON THE GREAT, THE MOTHER OF HARLOTS AND OF THE ABOMINATIONS OF THE EARTH. (Revelation 17:1-5). The United Nations, Vatican, World Council of Churches, and the European Union are pushing versions of this (watch The ‘Unpardonable Sin’ and ‘Climate Change’? and Europe and the ‘Holy Roman Empire’ and World Council of Churches Peace Plan). 8 So two or three cities wandered to another city to drink water, But they were not satisfied; Yet you have not returned to Me,” Says the Lord. The severe hurricanes and other weather issues are consistent with that (watch Hurricanes and Prophecy and Does God Use Weather?). 7 For nation will rise against nation, and kingdom against kingdom. And there will be famines, pestilences, and earthquakes in various places. (Matthew 24:7). Even some scientists believe that in 2018 and later we will see more serious earthquakes (see Scientists predict increase in earthquakes for 2018). Earthquakes could trigger supervolcanoes (see Massive spike in Yellowstone earthquakes: Does Yellowstone pose a major risk? and watch Are supervolcanoes a real threat?) and cause other troubles (Mark 13:8). 2 And I looked, and behold, a white horse. He who sat on it had a bow; and a crown was given to him, and he went out conquering and to conquer. (Revelation 6:1-2). The celebration of the Reformation was highly focused on ecumenism as opposed to separation (watch Ecumenism and the ride of the White Horse of the Apocalypse). Popes have even changed Catholic teachings on Limbo and Purgatory, partially to make this cooperation easier (watch Popes Change on Limbo and Purgatory?). A spiritual ecumenical conquering has begun. Western governments are even going along with some of this (watch Canadian censoring of the Bible) as are private companies like Google, Facebook, and YouTube (watch also Internet Control, Famine of the Word, and 666). Many rumors of war related to North Korea and the Middle East, to cite two examples, are happening (watch Donald Trump, Warmongering, and the Red Horse of War and Syria, North Korea, and Prophecy). The United Nations even issued a warning about racial civil unrest in the USA (see USA has too many liars, so relaxes standards to hire border control agents; UN issues civil unrest warning) while Europe had troubles in Spain (watch Ten Kings, Catalonia, and the Future of Europe). 3 For all the nations have drunk of the wine of the wrath of her fornication, the kings of the earth have committed fornication with her, and the merchants of the earth have become rich through the abundance of her luxury.” (Revelation 18:2-3). While ‘Babylon’ will not reign in 2018, with the USA pulling out of trade deals and/or wishing to change them, steps are occurring that are pushing Europe to dominate trade (watch Trade Wars: Are COG warnings coming to pass?). The Europeans have been working with Latin America, China, Russia’s Eurasian Union, and other areas of the world to try to set up its dominance of world trade as well as standards for world trade. 18 Here is wisdom. Let him who has understanding calculate the number of the beast, for it is the number of a man: His number is 666. (Revelation 13:16-18). Between moves for cashlessness in Europe (watch Sweden going to ‘666’ cashlessness?) and the rise of cryptocurrencies (watch Blockchain, Karl Guttenberg, and 666), the ability to do this is now here. It was not possible in the 1st century when the Apostle John wrote about this back in the first century A.D. The world will not be cashless in 2018, but we are seeing steps towards the ability to control buying and selling. 12 The ten horns which you saw are ten kings who have received no kingdom as yet, but they receive authority for one hour as kings with the beast. 13 These are of one mind, and they will give their power and authority to the beast. (Revelation 17:12-13). Various ones are calling for a version of that in Europe (Ten Kings, Catalonia, and the Future of Europe). Even Pope Francis has called for Europe to be creative and think beyond national boundaries (see Catalonians want democracy to work; Pope Francis wants Europe to be more united). The prophesied reorganization will not happen in 2018, but expect calls to reorganize Europe. More Gentile-dominated groups and projects are appearing to get the world to move away from an Anglo-American dominated world order (watch The Times of the Gentiles and End of the Anglo-American Order). Basically, part of the objective of the BRICS, EAEU, Shanghai Cooperation Organization, and even the European Union is to establish a new world order (SCO, EAEU, and BRICS defining a ‘new world order’? )–an order no longer dominated by the USA and its Anglo-Saxon allies, like the UK. 16 And they gathered them together to the place called in Hebrew, Armageddon. (Revelation 16:14-16). With its One Belt, One Road (AKA Silk Road) project, China may be making roads that will transport troops to Armageddon (watch Is China paving roads to Armageddon?). China has over 60 nations involved and, on an inflation-adjusted basis, is expected to pour ten times the amount of money into this than the USA did for its Marshall Plan, which mainly helped 6 European nations. 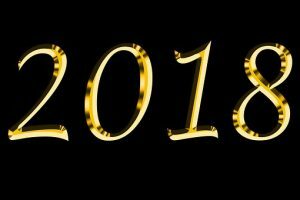 The gathering of Armageddon will not happen in 2018, but some events to make that gathering happen will. While Matthew 24:14 will NOT be fulfilled in 2018, steps to help lead to that fulfillment will. Yet few seem to realize that the Great Tribulation does NOT start until right after the Gospel of the Kingdom of God is preached to the world as a witness (cf. Matthew 24:14, 21-22). While many erroneously think that this has already happened, God has not seen it that way. Once He does, the end will come. The Philadelphian Christians will be supporting the work of Matthew 24:14. World events are moving in the direction of properly understood biblical prophecy. 7 But the heavens and the earth which are now preserved by the same word, are reserved for fire until the day of judgment and perdition of ungodly men. ALL THINGS ARE NOT GOING THE SAME FOR THE USA OR UK. Few people were ready for the great flood of Noah’s time. 9 Indeed I will make those of the synagogue of Satan, who say they are Jews and are not, but lie–indeed I will make them come and worship before your feet, and to know that I have loved you. 15 I know your works, that you are neither cold nor hot. I could wish you were cold or hot. 31 So you also, when you see these things happening, know that the kingdom of God is near. 32 Assuredly, I say to you, this generation will by no means pass away till all things take place. 34 “But take heed to yourselves, lest your hearts be weighed down with carousing, drunkenness, and cares of this life, and that Day come on you unexpectedly. 35 For it will come as a snare on all those who dwell on the face of the whole earth. Do not be like the scoffers. Pray, change, and support God’s work in these end times. Philadelphian Christians (Revelation 3:7-13) truly realize, “the testimony of Jesus is the spirit of prophecy” (Revelation 19:12). This entry was posted on Tuesday, January 2nd, 2018 at 12:01 am	and is filed under Doctrine, Prophecy. Angela Merkel and Pope Francis speak at Muenster Conference: What are the prophetic ramifications for the USA and the world?